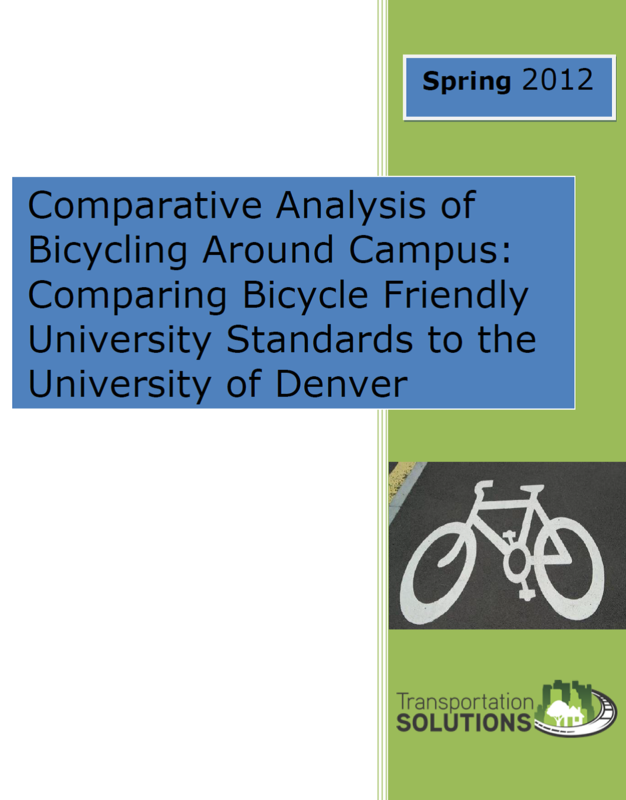 At this month’s April DU Sustainability Council meeting, Masters of Resources Law Studies (MRLS) student Ryan McCann presented an extensive report detailing ways for DU to become a more bicycle friendly campus. In addition to being a student at the Sturm College of Law, McCann has spent the past year serving as Program Fellow with the non-profit Transportation Solutions where he has met with key stake holders and become familiar with city/local, state, national, and even international bicycle policies, laws, and best practices. While serving as Fellow, McCann was tasked with composing a report that analyzed the campus’ and city’s master bicycle plans. He then contacted universities that have been awarded/recognized as Bicycle Friendly Universities by the League of American Bicyclists and cross-referenced his information to see where DU is succeeding and what it can do better to attain Bicycle Friendly University recognition. Next month the DU Sustainability Council will meet and vote on whether to adopt the report and make further recommendations. The meeting will take place May 10th at 8:30am in Driscoll 1880. If you missed McCann’s presentation and have yet to review his report, have a look at the attached materials. “There is no better time than now to turn DU into one of the most bicycle friendly universities in the country. 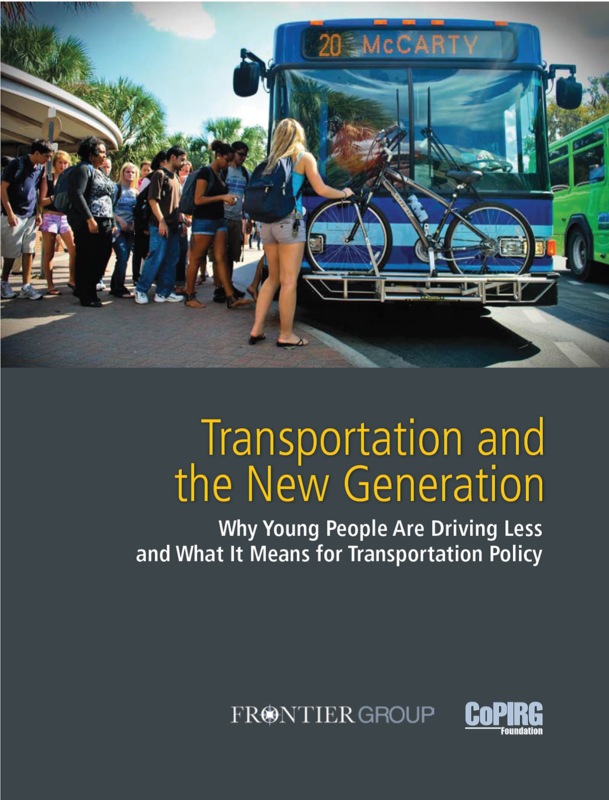 A report came out just last week titled, Transportation and the New Generation: Why Young People Are Driving Less and What It Means for Transportation Policy. The report is pure poetry for alternative transportation advocates. In 2009, 16 – 34 year olds as a whole took 24% more bike trips than they took 2001, despite the age group shrinking in size by 2%. 77% of the youth (16 – 34 y/o) plan to live in urban centers! 77%!—and I’m one of them. For the first time ever, since World War II and our nation’s sprawling development, people are starting to alter their traveling behaviors.